For years, U.S. government surveillance of innocent Americans has been a topic of heated debate, especially for those in the tech community. With Congress gearing up for a fight over the 2017 reauthorization of a surveillance authority that lets the NSA spy on innocent Americans without a warrant—Section 702, enacted as part of the FISA Amendments Act—that debate is sure to rage on in the coming months. 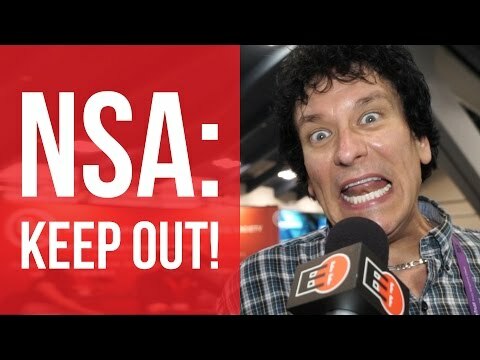 So we sent reporter David Spark to the RSA Conference in San Francisco, California in February to ask one simple question: What don’t you want the NSA to know about you? The answers spanned the spectrum, from emails, to phone calls, to web browsing records, to financial information, to information about individuals’ children, to nothing. Others turned the question on its head, asking instead why the NSA is conducting surveillance on Americans. “I don’t think their charter is to spy on Americans, so why are they?” one asked. And some got blunt. One attendee said he already assumes the NSA knows a lot about him already. “It scares me and offends me,” he said. If the warrantless spying on Americans scares and offends you, contact your representatives in Congress and tell them to pull the plug on Section 702 surveillance. And watch the video to see other RSA Conference attendees’ responses.